Last night hubby and I were talking social media, catching up and comparing the days notes on what we found interesting, when we stumbled across Oprah’s new (or new to us ) IG page Circle of Friends. 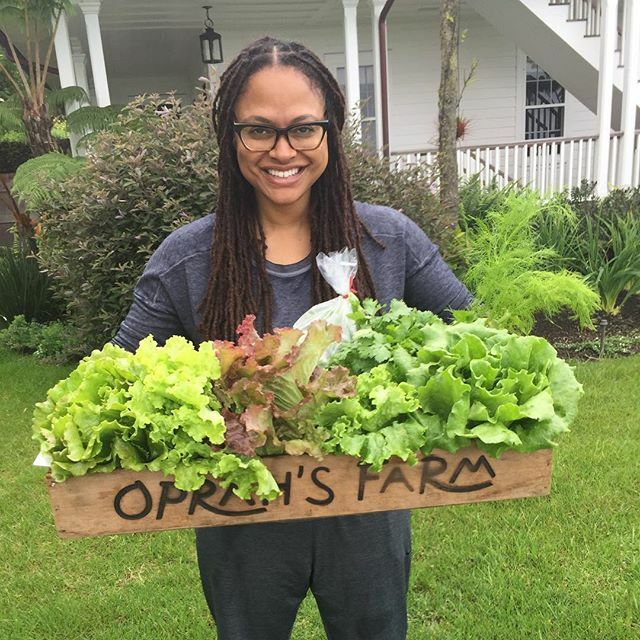 To our pleasant surprise we spotted Ava DuVernay just chilling with Queen O on her Hawaiian Farm. We were both geeked out for different reasons, hubby follows Ava’s career in film and is a fan. (not that I don’t love you too Ava! I do!) I didn’t know Oprah’s farm was so big and beautiful! Listen, I’ve love a basket of fruits and veggies with a box marked “Oprah’s Farm” for the holidays. Oprah, you and Jeff Bezos need to have a conversation and I’d be one of the first million customers! I want the veggies AND that box!